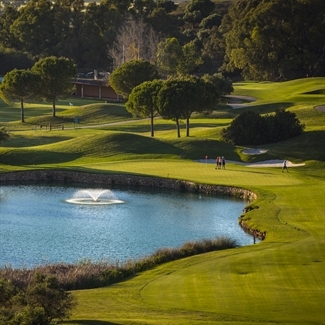 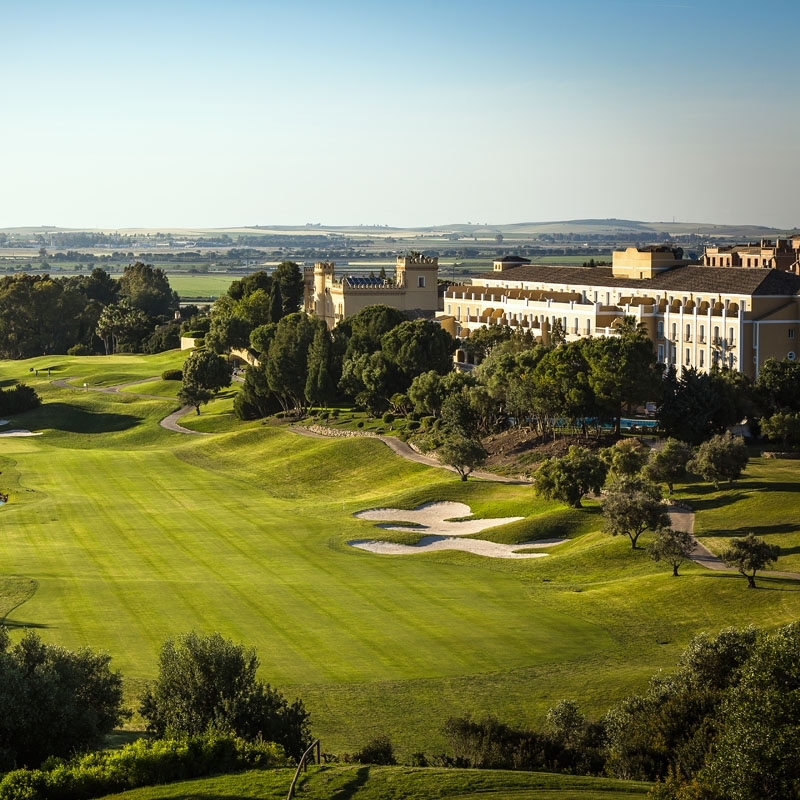 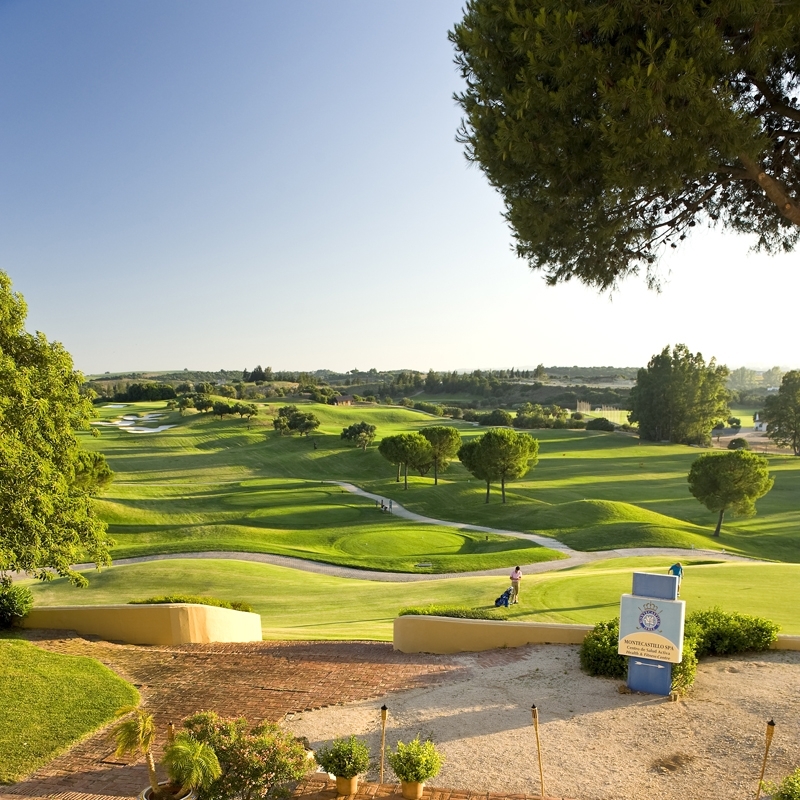 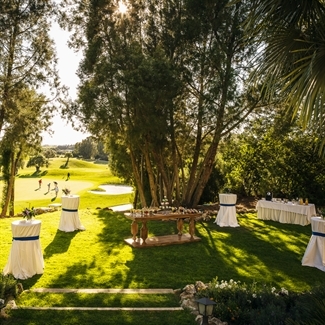 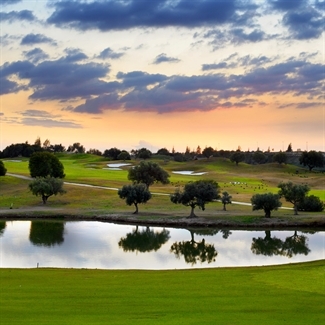 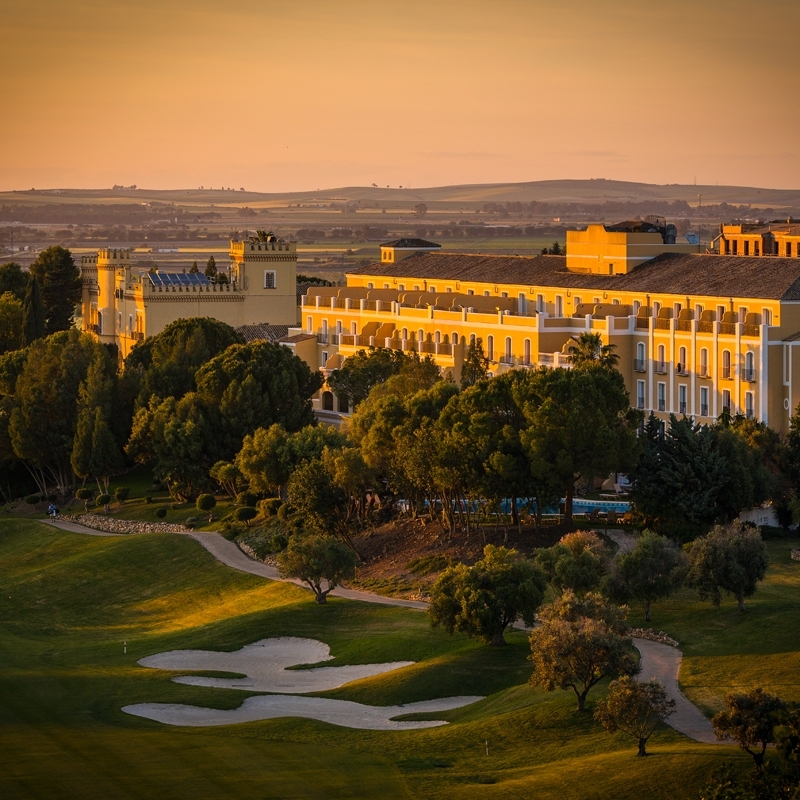 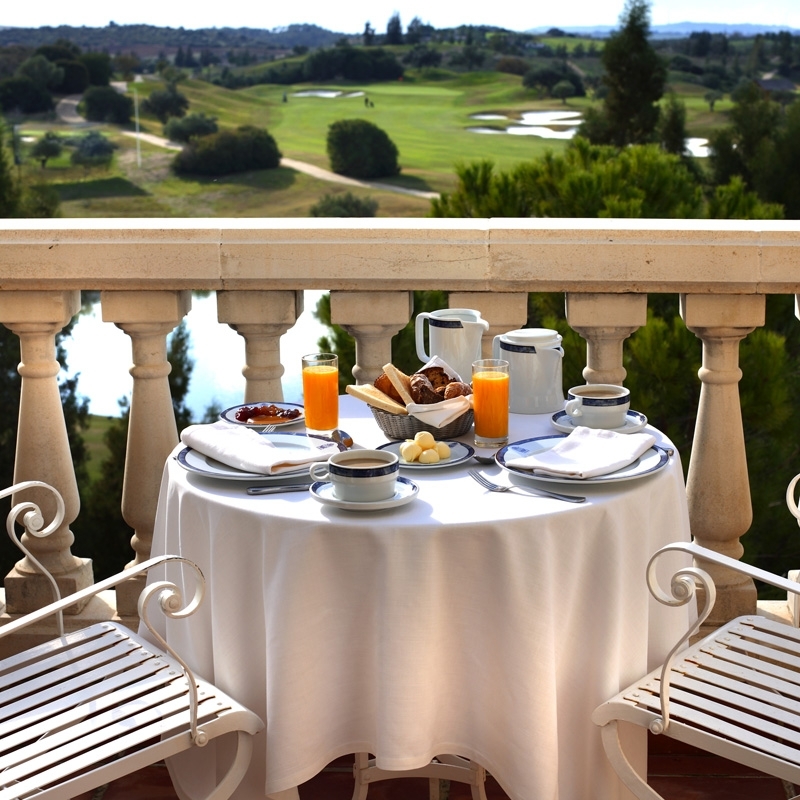 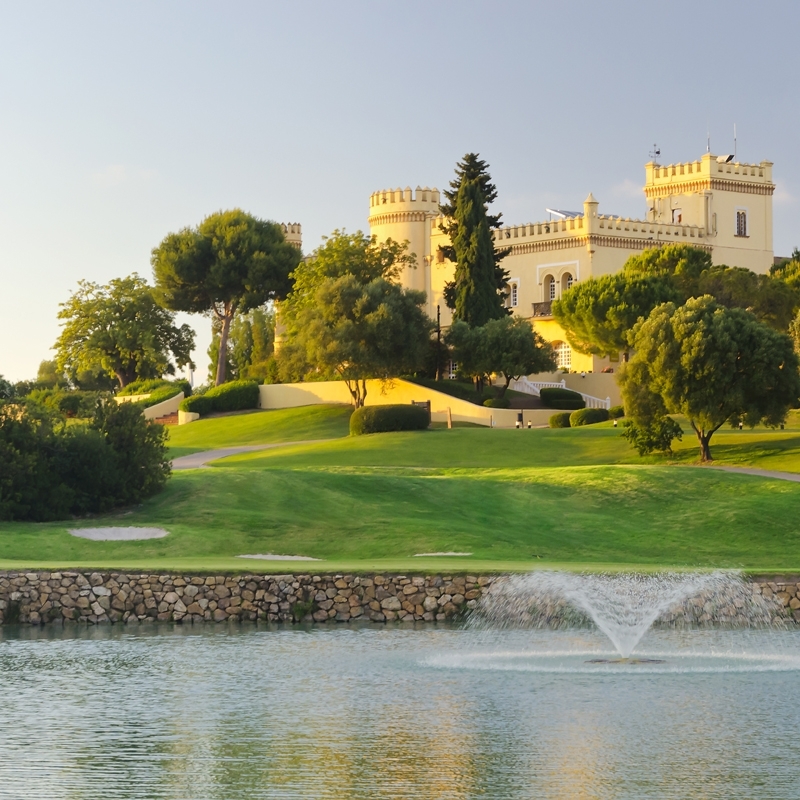 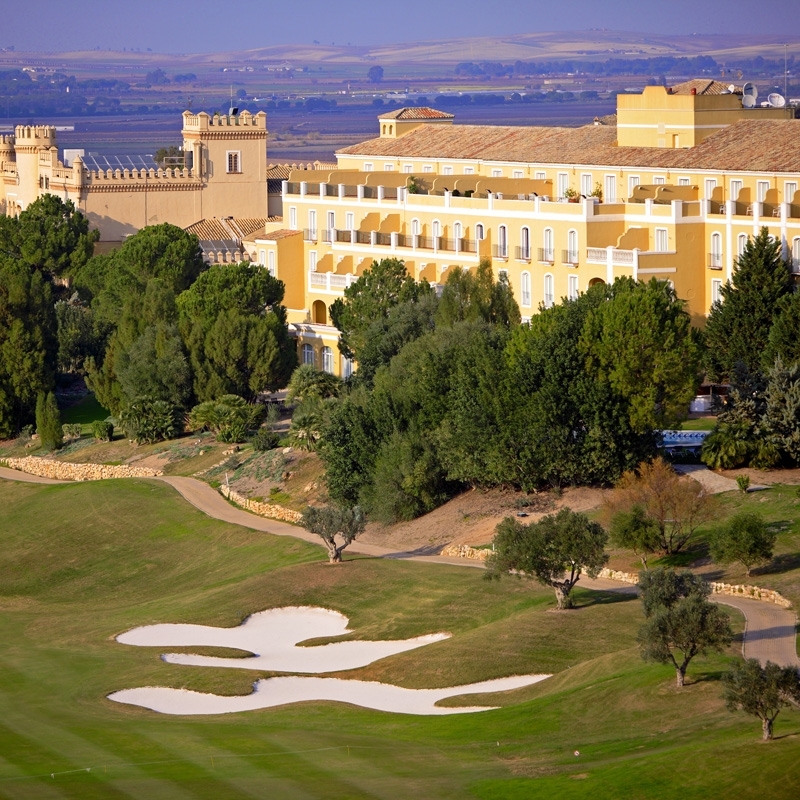 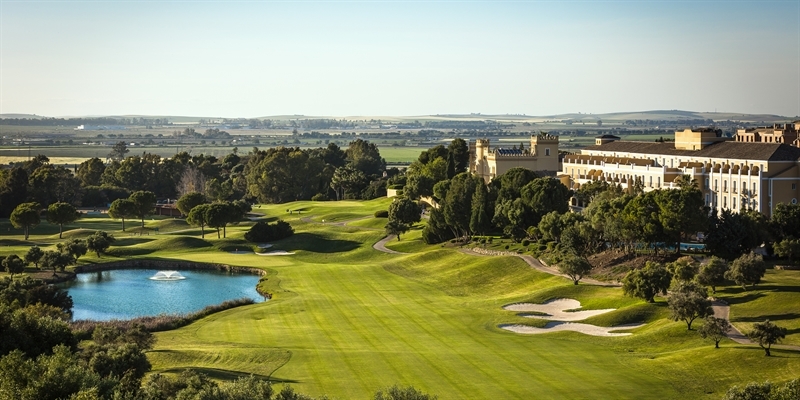 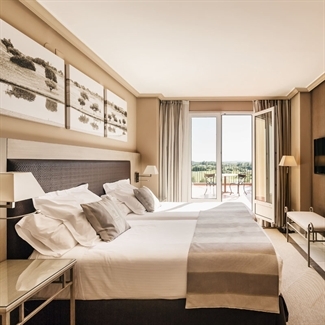 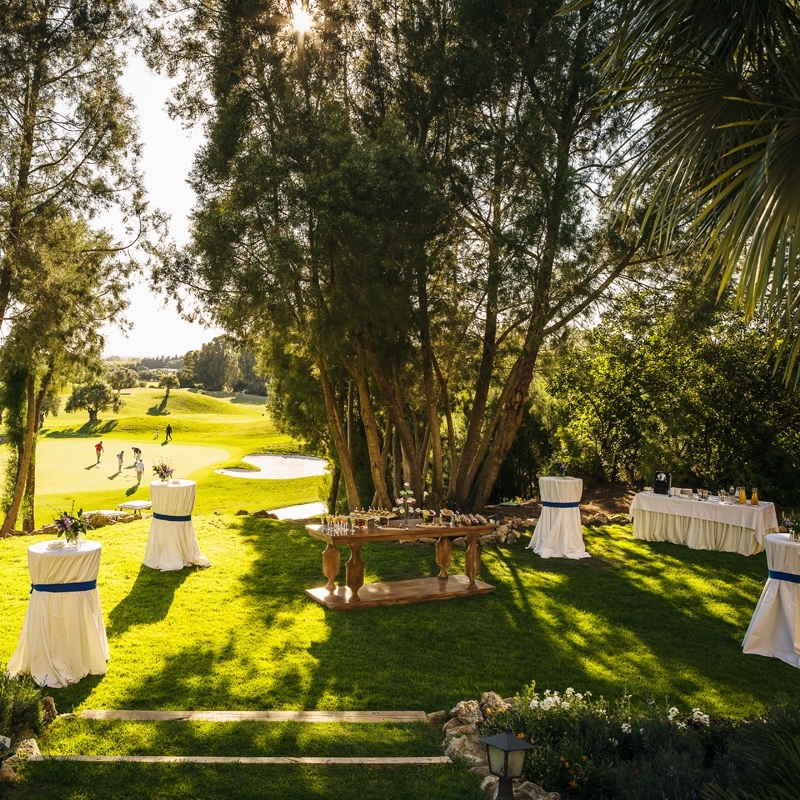 The Barceló Montecastillo Resort is home not only to the fantastic Nicklaus Golf Course, but this renowned 5* Hotel. 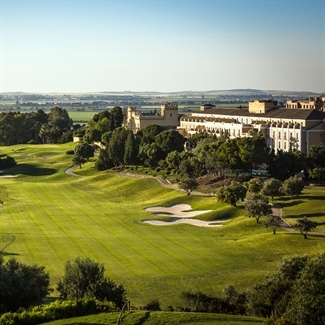 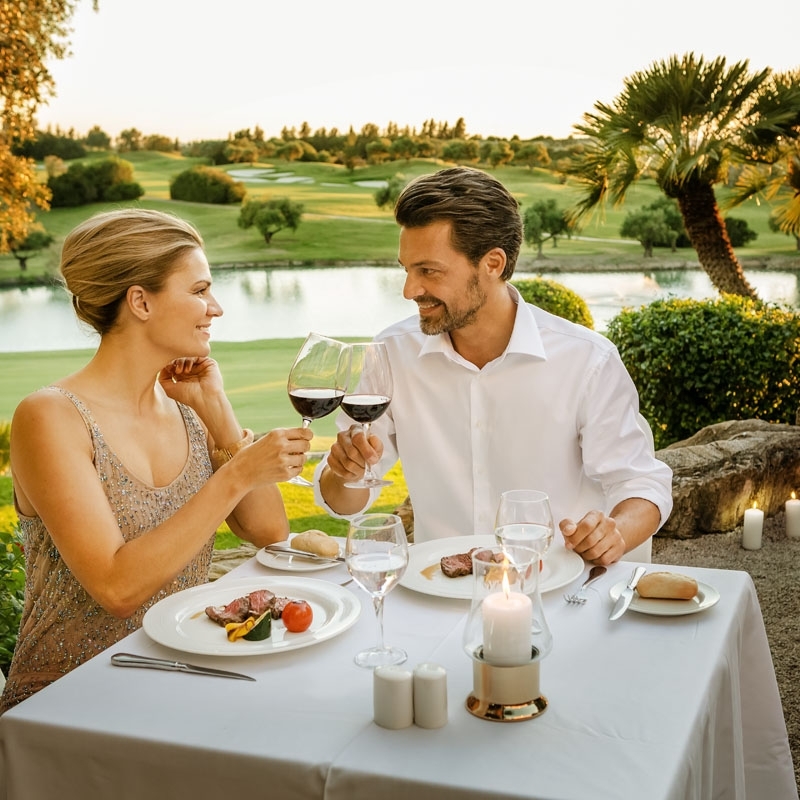 Most impressive of all is the value offered here, whether you choose to stay on a Bed & Breakfast, Half Board or All Inclusive basis daily unlimited golf is included at Montecastillo ! 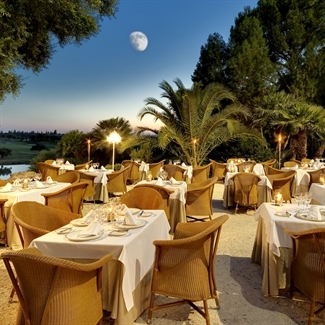 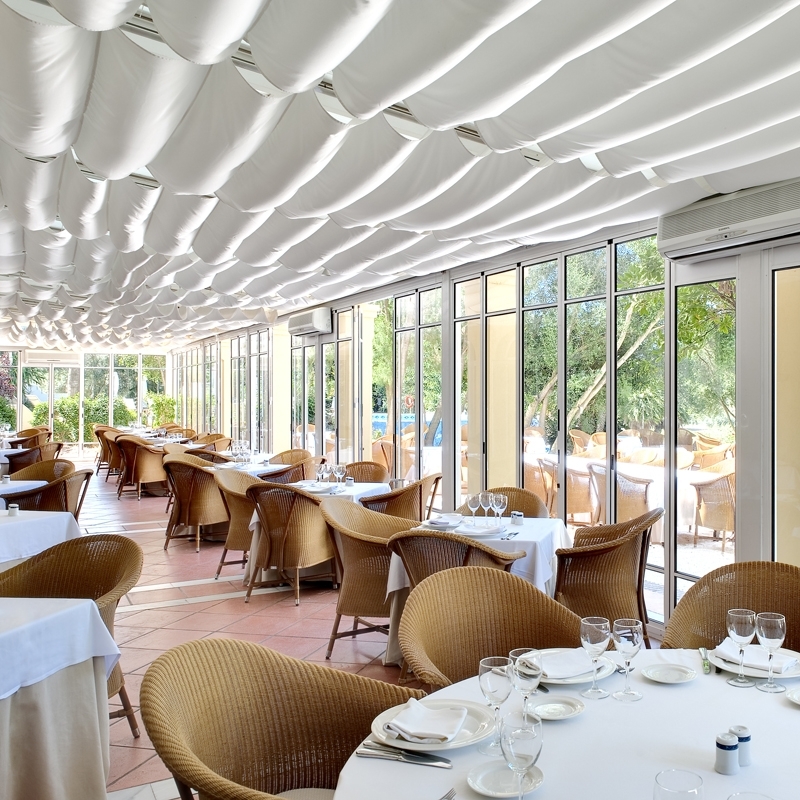 The hotel's El Lagar restaurant serves a good variety of both international and local cuisine in a buffet style. Plus, All Inclusive guests can enjoy a good selection of national alcholic and soft drinks available from 11.00 to 23.00. 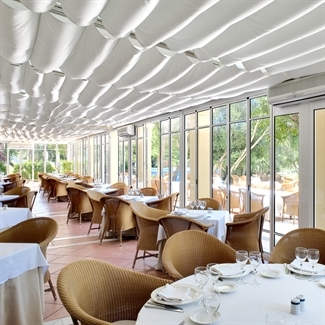 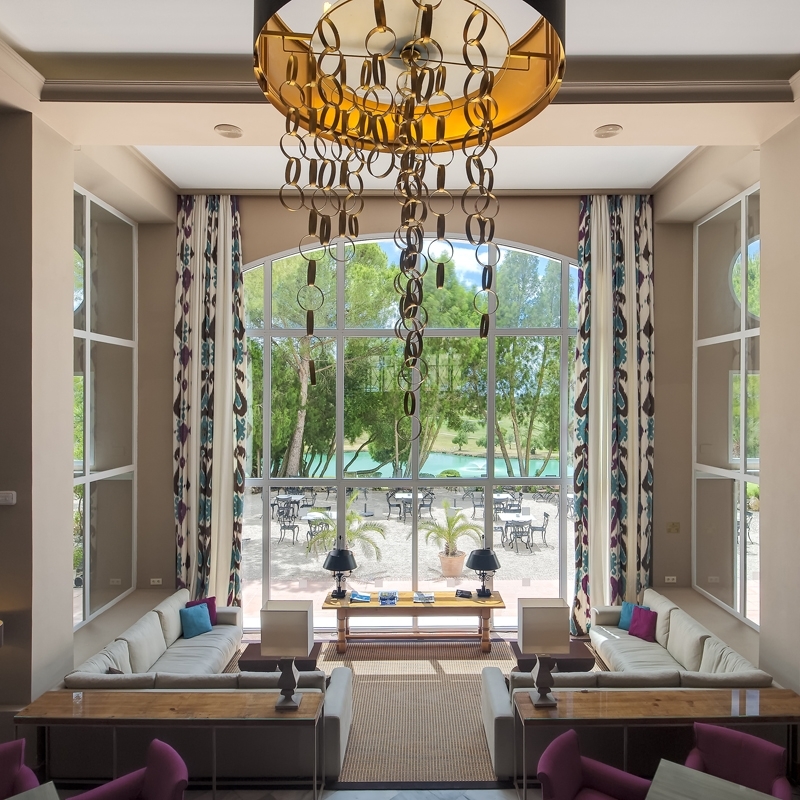 The hotel offers 163 recently renovated guest rooms, and 7 suites, all of which are decorated and furnished in a traditional Andalucian style, and guests can enjoy air-conditioning and satellite television as standard. 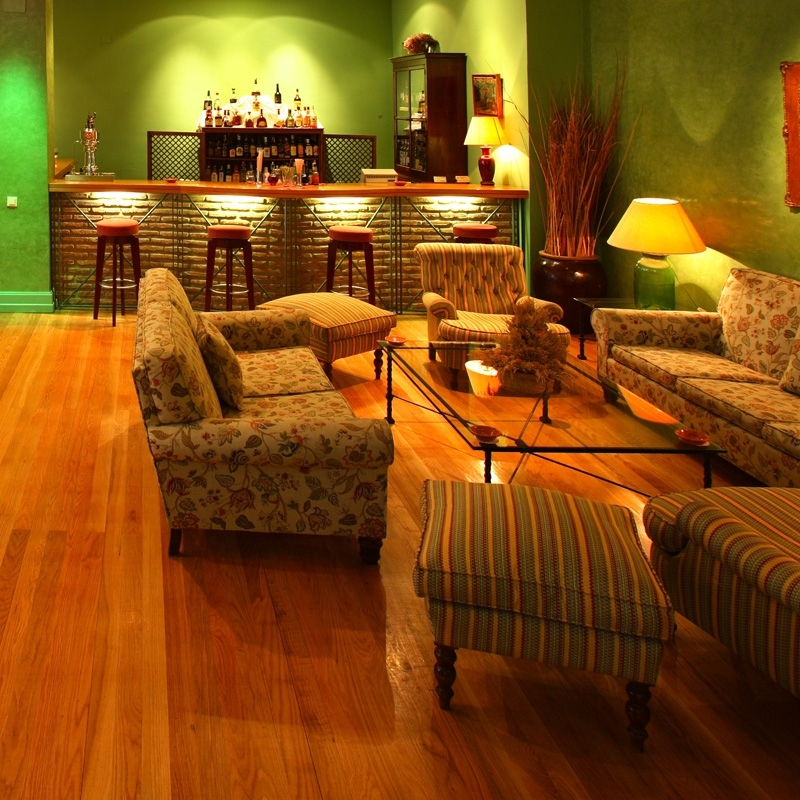 You can also enjoy the convenience of Tea and Coffe making facilities in the room. 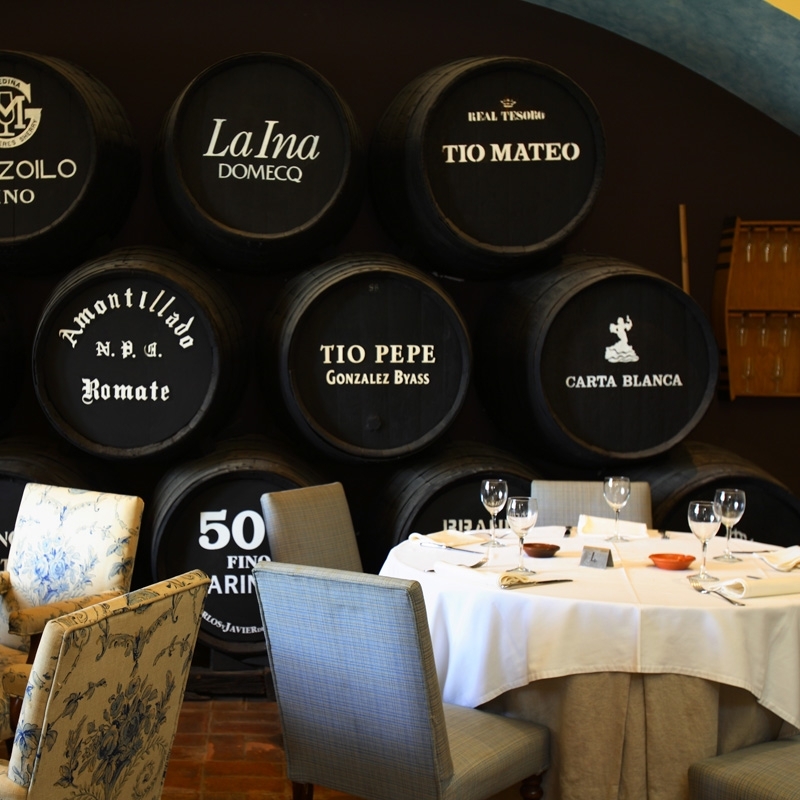 Jerez itself is just 10 minutes away and well worth a visit, the local bodegas that produce the well known sherrys of the region are also popular attractions. 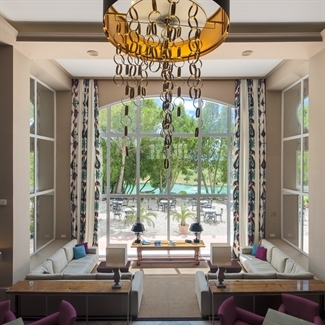 Leisure facilities at this hotel include a heated indoor swimming pool, jacuzzi, steam room, sauna and fitness centre. 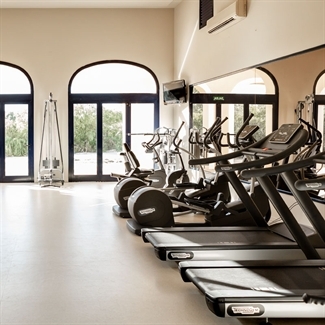 There are also 4 purpose-built treatment rooms, a Hydrotherapy room and a Hydromassage bath, in addition to the two full size football pitches, jogging track, athletics track, tennis court and two outdoor swimming pools. Two fine courses located close to the sea and offering challenging golf for players at all levels.